Hydrobiology is excited to be working with Logan City Council (LCC) on the ‘Waterbody Risk Profile Project’. The project aims to identify the risk of a waterbody becoming eutrophic and being susceptible to harmful algae blooms, fish kills, bird deaths and human health risks. The multi-criteria eutrophication assessment tool, will be designed using a weight-of-evidence approach (ANZG, 2018). The outcomes of this project will assist LCC to better understand and manage the risk to human health, park amenities and the natural environment, from unforeseen outcomes due to poorly managed waterbodies. 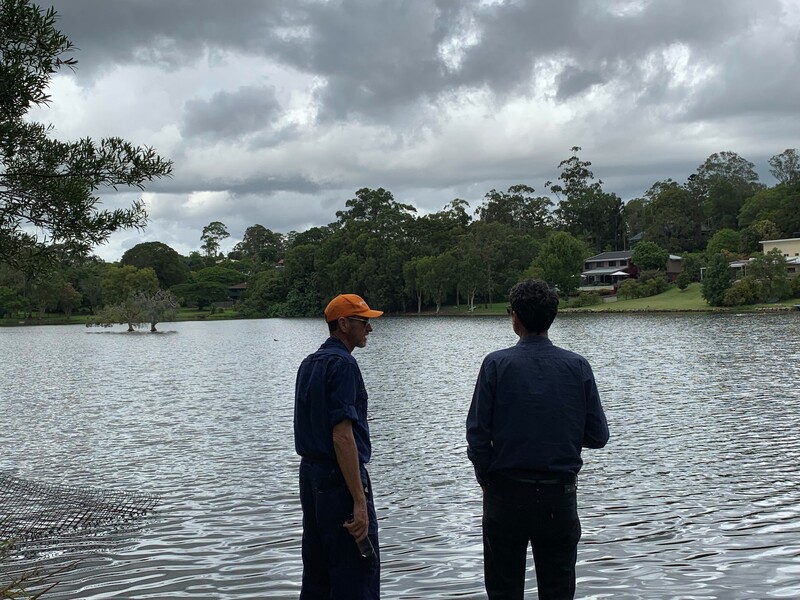 Photo: Ross Smith and Barnaby Resch (LCC, Senior Environment Planning Officer) visited the sites at the inception meeting on Tuesday 2nd April 2019.